Radiologist Ashima Lall, MD, MBA, FACHE, and emergency medicine physician Rebecca Pasdon, DO, are collaborating with colleagues at Main Line Health’s Riddle Hospital in suburban Philadelphia to improve high-value imaging and reduce dose, cost and inconvenience for patients and their health system. This team is achieving the Quadruple Aim through a novel implementation of the American College of Radiology’s (ACR) Radiology Support, Communication and Alignment Network (R-SCAN), supported by a grant from the Center for Medicare & Medicaid Innovation’s Transforming Clinical Practice Initiative (TCPI). At Riddle, emergency and radiology physicians proposed using R-SCAN, a platform to create and implement projects to reduce unnecessary imaging, to improve appropriate ordering of CT angiography exams for suspected pulmonary embolism based on a Choosing Wisely recommendation from the American College of Emergency Physicians. Drs. Lall and Pasdon noted that this enhanced communication between the physicians has resulted in an ongoing dialogue around quality improvement and patient engagement not previously considered at their institution. The team at Riddle wanted to create a shared decision making process from the inception, so they reached out to Main Line Health’s Office of Patient and Family Engagement to gain input about the development and implementation of a patient engagement component of an R-SCAN project from their Patient and Family Advisory Council (PFAC). After discussing the project, the Riddle team followed the R-SCAN process, which includes collecting and rating the appropriateness of tests, adjusting clinical protocols, educating clinicians about Choosing Wisely and collecting and rating cases following the intervention. The results of the clinician education showed a 45 percent improvement in the appropriateness of imaging exams ordered for pulmonary embolism. After consulting with the PFAC, they took their project further by incorporating a patient engagement element into their plan. 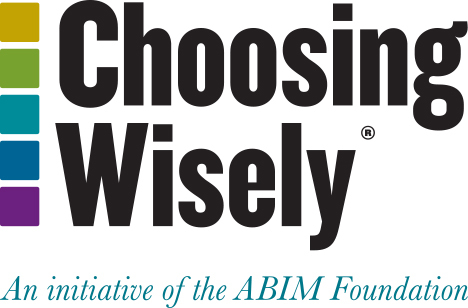 Clinicians educated patients using Choosing Wisely materials and discussed the risks of unnecessary imaging. A nurse from the quality department called patients to follow up about whether the materials were helpful, if they had additional questions, and whether they thought the information would be useful for other patients. About 25 patients have provided post-visit feedback and their responses are being analyzed. “The PFAC receives feedback from projects we have reviewed, including R-SCAN. When we receive feedback, we are able to use that information to move forward on other projects that may interact with the R-SCAN project,” Sunick said. 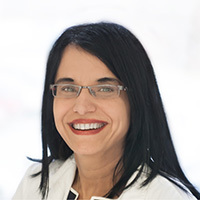 Dr. Lall said the project has helped bring to light how important collaboration is between physicians in the health system and with physicians and patients. Next steps include expanding projects to other Main Line Health emergency departments and providing a template for patient engagement in R-SCAN, which could then be used by the 100-plus practices participating across the country.